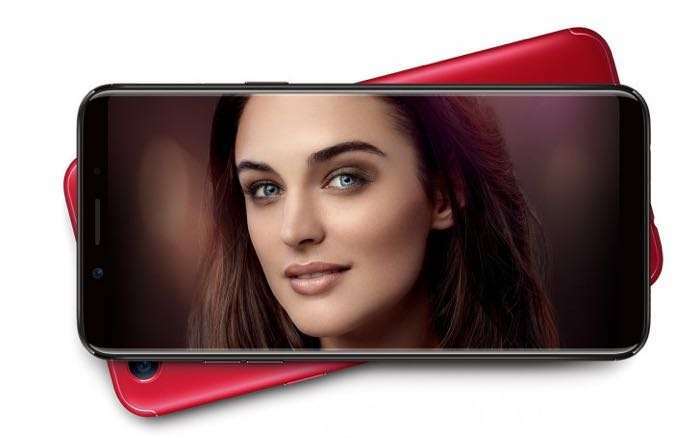 The Oppo F5 was launched last month, the handset is also now available in India and it is being sold through retailers Amazon and Flipkart. The handset costs INR 19,990 in India which is about $308 at the current exchange rate. The Oppo F5 comes with a 6 inch display that features a Full HD+ resolution of 2160 x 1080 pixels. The handset is powered by an octa core Helio P23 mobile processor and it also comes with 4GB of RAM as standard and 32GB of storage. There is also another version of the handset which comes with 6GB of RAM and 64GB of built in storage. The device comes with ColorOS 3.2. This is based on Android 7.1 Nougat and it features a 3200 mAh battery. Other specifications on the Oppo F5 include high end camera on the front and back. Up front there is a 20 megapixel camera with an f/2.0 lens designed for Selfies. On the back of the F5 there is a16 megapixel camera with a f/1.8 lens. The handset is available in a choice of different colors. The colors include black and gold for the 4GB version of the Oppo F5 and Red for the 6GB version of the handset. The 4GB model is now available to buy in India and the 6GB model will launch in December.